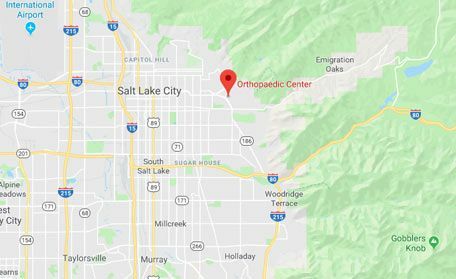 The shoulder is a ball-and-socket joint between the upper arm bone, which is called the humerus, and the shoulder blade, which is called the scapula. The ball is on the top of the upper arm bone and the socket is on the shoulder blade. The socket is not a full cup, it is a shallow depression similar to a golf tee. The muscles of the shoulder are in two layers. Closer to the surface are the large muscles including the pectoralis major and deltoid. Below this layer is a group of four muscles and tendons called the rotator that surrounds the ball like a glove. To prevent the ball from slipping over the edge of the shallow socket with heavy lifting, the rotator cuff compresses the ball into the socket. When the ball is compressed into the socket, the shoulder joint is a stable rotational fulcrum, which allows the larger muscles to lift heavy weights above shoulder and head level. These two muscle layers work together. To allow these two muscle layers to move relative to one another, there is a bursa within the shoulder. 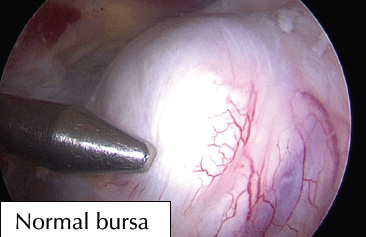 A bursa is a thin, fluid-filled sac that allows smooth and lubricated movement between layers. The bursa is prone to become inflamed, which is called bursitis. 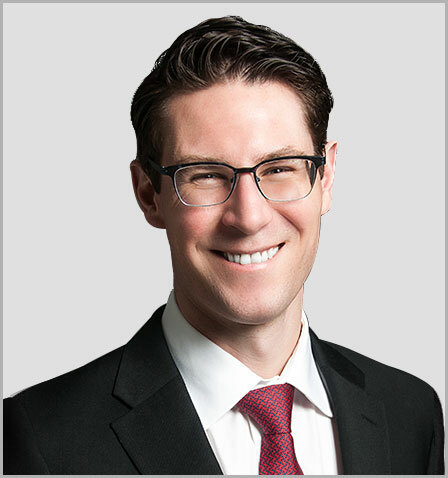 There are multiple causes of bursitis, including rotator cuff tears, inflammatory conditions, and traumatic injuries. 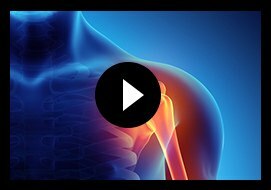 Bursitis causes pain in the front and side of the shoulder, difficulty lifting the arm, loss of strength in the shoulder, and difficulty sleeping on the shoulder. The most common cause of bursitis in young people is abnormal shoulder blade movement and posture, called “scapular dyskinesis”. When the arm is raised away from the body, the shoulder blade glides on top of the rib cage. This movement occurs through the coordinated action of 17 muscles attached to the shoulder blade. When this movement becomes uncoordinated, the shoulder blade will lift off the rib cage and become prominent, which is called “winging”. 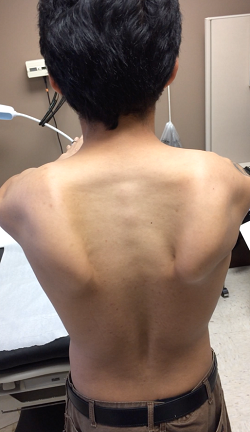 Abnormal movement of the shoulder blade is called “scapular dyskinesis”. 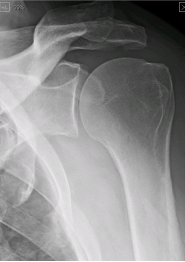 With abnormal movement of the shoulder blade, bursitis develops in the shoulder. These two problems are thus commonly linked. 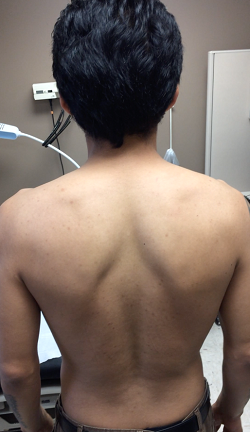 Bursitis and scapular dyskinesis can almost always be successfully treated without surgery. This treatment begins with a steroid injection into the bursa. The injection should be followed by physical therapy and home exercises to restore normal posture and movement in the shoulder blade. To be successful, this treatment requires a good physical therapist, diligence in the exercises, and time to work. Often three months of therapy are required. Dr. Chalmers also provides home exercises for strengthening of the scapular stabilizers for this condition. When therapy, medications, and injections have failed and this condition has persisted for many, many months, surgery can be considered. 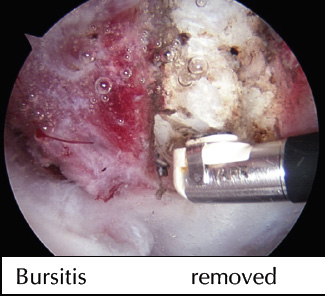 The surgery will remove the bursitis and clear more space within the bursa to reduce recurrence of bursitis. 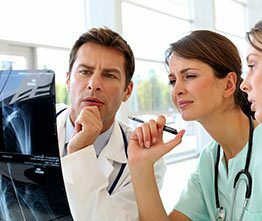 This is an arthroscopic surgery with a quick recovery, but is usually not necessary.